A spoonie is someone who is living with a chronic illness. It refers to the idea that such a person has a limited number of spoons (as an analogy for energy) to use each day. I’m a spoonie because I’m autistic and also have chronic fatigue syndrome. It’s tough being a spoonie, and running out of spoons is frustrating. 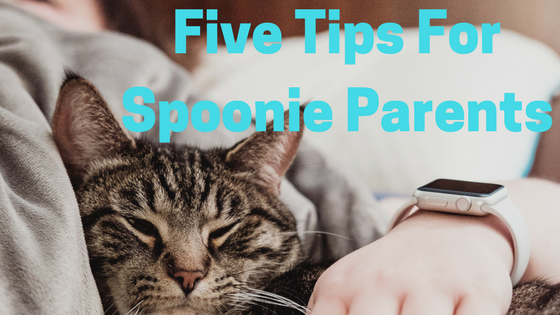 When you’re a spoonie parent, running out of spoons can be even more challenging to cope with. What happens when the children need some kind of care or support and you’ve already used up that days spoons? In my experience what happens is I carry on, borrowing spoons from tomorrow, determined not to let my conditions affect the children. Until eventually there are no more spoons and I have a physical or mental crash, and have to stop. Then I feel like I’m failing and my self esteem dips along with my health. After many years of this cycle, on repeat, I reached a point where I needed more permanent change. 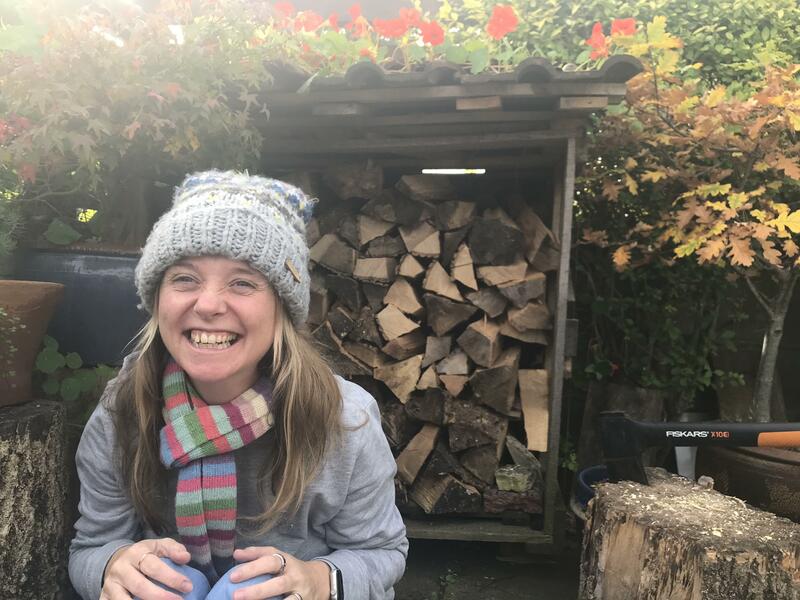 I needed to accept my situation and find solutions that are sustainable to enable me to best support myself and my family. What this looks like will be different depending on type and severity of illness and personal circumstance. However I thought it might still be useful to share my tips, and ideas in case they are helpful for you. Flexible routine. As someone on the autistic spectrum routine is my starting point for coping. It enables me to see what needs to be done, and to consider my energy cycle and when the best times are to be active and to rest. Start by writing a list of all the basics that you need to do each day. Include things like washing, dressing and eating, as they all use spoons. Next make a routine that starts when you wake and finishes when you go to bed. Consider which times of the day you generally have the most energy and schedule the more challenging tasks in those times. First I schedule my essential tasks like eating, washing, feeding the cat, helping the kids with homework etc. Next I have several chunks of time between these tasks and I allocate them as free time. What this means is that I can allocate these free time blocks depending on my energy levels. I can use them to work through my to do list, or to socialise and pursue my hobbies, or I can use them to rest if that’s what I need. Having this routine is also energy saving because I don’t need to plan my day, I just have to get on with it. Cooking dinner is a particular problem area for me. The time of day it needs to be done is difficult as by that time I’m often extremely tired. I don’t have space to batch cook and preparing it earlier is also unmanageable for me. First of all shop online and have your food delivered. That’s a no brainer as I don’t want to use spoons on supermarkets. Before you make your online order plan your weeks meals. So I recently decided to compromise on my cooking standards. I make a meal plan each week. I chose three really easy meals that I can generally prepare even when I’m tired , e.g. jacket potatoes and cheese/beans and freezer to oven food. These meals we eat every week and they are the foundation of my meal plan. Then each week I choose two more meals that are easy to prepare, but that change week by week so there’s some variety. If I’m feeling well then these meals could be more complex. So I have five meals on my plan which are achievable. The other two days we may shop on the day for something like pizza, that’s really easy. Or we get takeaway or eat out. I try not to worry that my family aren’t eating home cooked from scratch meals every day. I try and ensure we eat a balanced diet, but if that came from the freezer then I’m OK with that. I’m aware that how much you can outsource will depend on your income so feel free to disregard this tip. That said if you can afford to hire help, then outsource. I use my DLA to pay for a fortnightly visit from a cleaner. They do a blitz of my house and I have lowered my standards so that between that and my robot hoover I do not do any other cleaning. Cleaning uses tons of spoons so this is immensely helpful. Other things that can be potentially outsourced include laundry, child care and house maintenance. If you can afford to then outsource the tasks which are using your spoons. Then you can save spoons for more fun activities with your children. Don’t feel guilty, embrace the help. This doesn’t work with very small children, and having been a spoonie parent to toddlers if this is you then you have my sympathy. But once they reach around four they can definitely be helping. My children will fetch and carry as needed. If I need something from upstairs they will get it for me. This saves me walking up and down the stairs and enables me to save valuable energy. Other jobs children can be taught to do include loading the dishwasher, emptying bins, dealing with recycling, changing beds, helping tidy the house, feeding and caring for pets, helping out with younger siblings. Don’t feel guilty involving your children in this way, you’re teaching them important life skills and your expectation that they will help as part of the family team is reasonable. I am definitely guilty of feeling that I need to provide my children with everything. I fall for the idea that the only way to provide a happy childhood is to provide amazing outings, endless activities, crafting sessions and all those picture perfect family experiences that we see on social media. This is actually completely unrealistic and not necessarily what’s best for them either. When I’m unwell I’m unable to do these things with them, and when I’m well I’m conscious of needing to save energy to ensure I stay well. So I try to ditch the guilt and allow myself to be good enough. Boredom is good for children, it promotes creativity and an ability to entertain oneself, which is a vital life skill. Also often the simple things prove to be the most enjoyable anyway. So whilst we do the occasional craft, or family outing, we also spend lots of time at home. With me on the sofa, or in bed, resting and them expected to entertain themselves. Guess what? They’ve gotten very self sufficient and they love being at home! I hope these tips where helpful. If they were then please do share my blog post. Also if you have any tips I’d love to hear them, and share them so leave me a comment below. Thanks for reading.